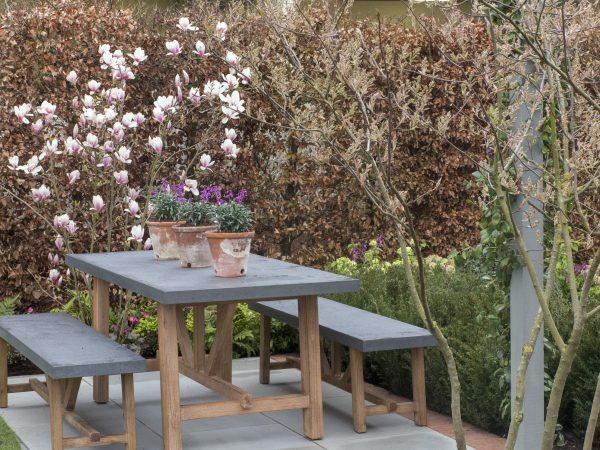 I’ve just been to the Ascot Garden Show, England’s newest garden show (held 13th-15th April). 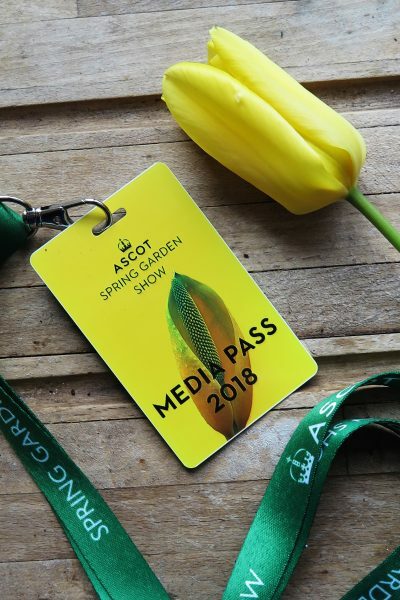 It can’t be easy to start a garden show from scratch, but the Ascot Garden Show has done it very well. Most big new horticultural shows are organised by the RHS. But this one is a partnership between Ascot Racecourse, The Savill Garden and The Valley Gardens at Windsor Great Park. Stephen Bennett, former shows director at the RHS, is at the helm, so his expertise is evident. But it’s quite a different venture for a racecourse to take on. 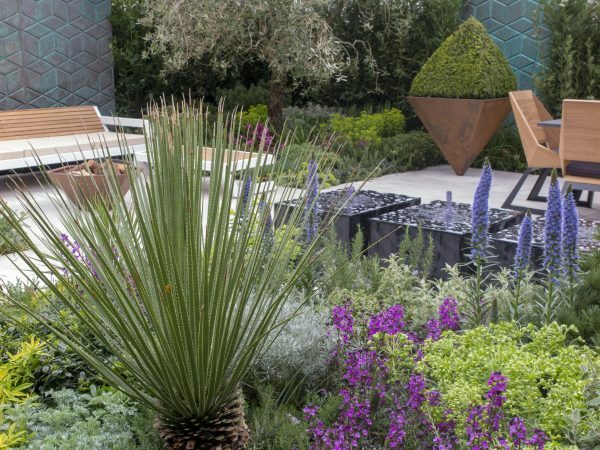 A new RHS show can rely on the reputation and customers of the RHS, but as Ascot Racecourse says ‘it’s sporting different colours’ to do a garden show. With 30+ specialist plant stalls, 6 show gardens and 6 ‘young gardener’ gardens, plus other stalls, it’s big enough for a day out. But it’s also small enough to get round. You can probably see everything. There was also a full programme of talks from horticultural experts and celebrities, such as Pippa Greenwood, David Domoney and more. And, above all, there are lots of places to sit down or eat and drink. I’ve often left a garden show earlier than I intended to because I was exhausted. It’s great to have a food court, but you need places to rest between food courts if your show is big. The quality of the six show gardens was excellent. They were all relatable and had ideas that would adapt to a garden of any size. 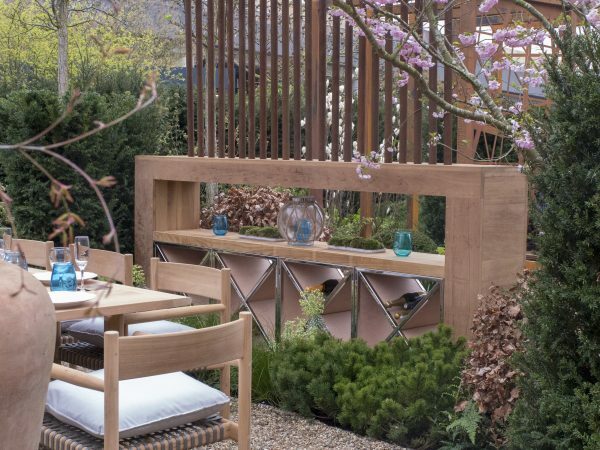 Tom Hill’s On Point garden. I love the balance of the planting and colour. 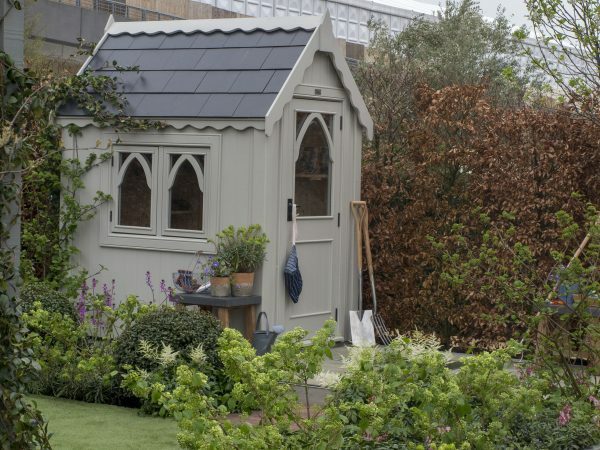 Claudia de Yong’s Posh Shed in the APL garden. A Garden for All Seasons by Kate Gould had an interesting use of screening in a garden – a way of dividing up an area but still being able to see through. There were six student gardens from Capel Manor College, Pershore College, Shuttleworth College, Writtle University College, Myerscough College and Reaseheath College. One of the student gardens for the Young Gardener of the Year competition. 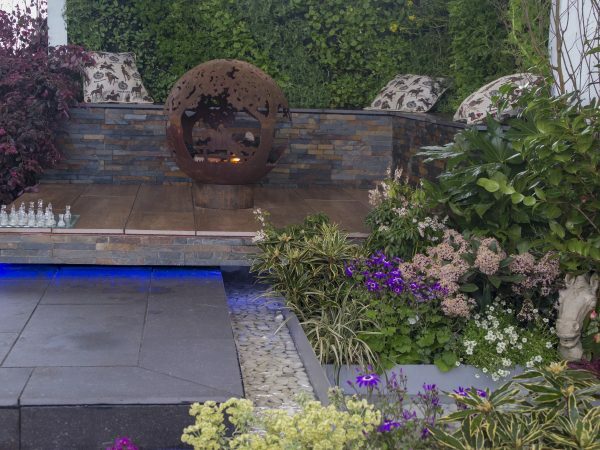 Designed by the student team at Myerscough College, it won the People’s Choice award in the Young Gardener of the Year category. It’s easy to get to. You can walk to Ascot Racecourse in just seven minutes from Ascot station. And there’s free parking in the racecourse car parks. The Ascot Garden Show is definitely a high quality show, but it’s also relaxed. I hope it stays small enough to keep those qualities. But even if it grows, the venue is used to handling crowds, so it has great potential to become part of the horticultural calendar. I’ll be visiting other garden shows throughout the year. You can see them on the Middlesized Garden YouTube channel and the Middlesized Garden blog. So do join me by subscribing – just enter your email in the box on the top right, or go to the YouTube channel and click on ‘subscribe’. Thank you! 2 comments on "Garden ideas from the Ascot Garden Show"
Hope to meet you another time!